The spread of swine flu around the world has been dominating the media lately. Hopefully it won’t turn into a pandemic like the one that swept through New Zealand in late 1918. Originating in the northern hemisphere, this strain of the ‘flu killed an estimated 8251 New Zealanders over a period of about a month from mid-October 1918. It hit when people were celebrating the Armistice with Germany, which ended the Great War (WWI). The 1918 flu pandemic is New Zealand’s worst natural disaster. The country lost about half as many people to influenza as it had in the whole of the war. A high proportion of the dead were young adults, with Maori suffering especially severe losses. 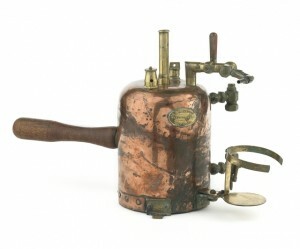 Read more about this topic and view related objects images in Te Papa’s collections. Where can i find more information on the influenza pandemic, as I am doing a research on it for history and the only website i can find that is really useful is nzhistory.net, I need some more sites with more information where can i find it help me please !?!? !